This album holds 36 elongated pennies as well as 8 elongated quarters for a total of 44 coins! This book retains it’s original tri-fold album which makes it very portable. 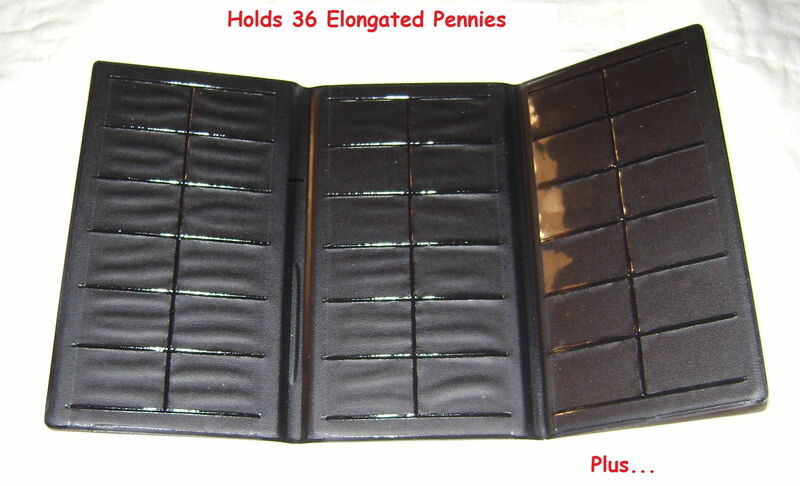 This is a must have for any elongated/pressed/smashed/squished penny collector. 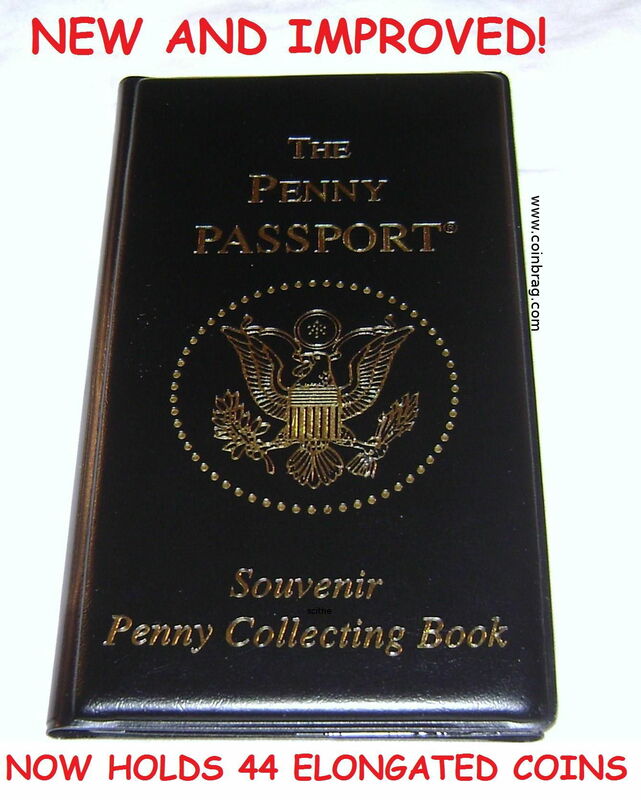 This Penny Passport is brand new and unused. 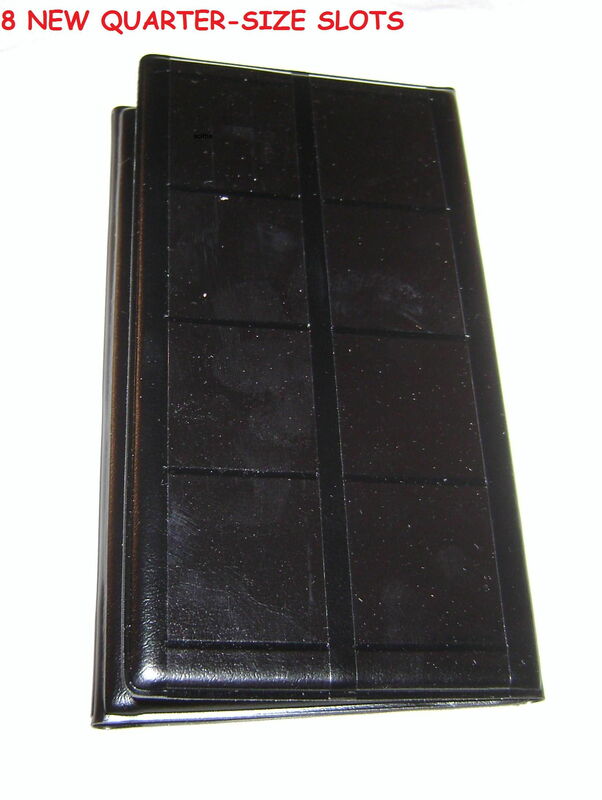 SKU: CB-PP1BK. Category: Coin Supplies. Need more than 5? 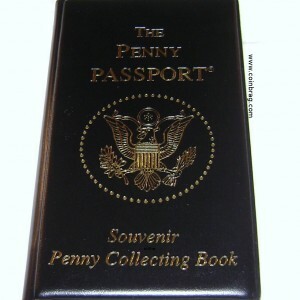 Check out our Five Pack of Penny Passports! 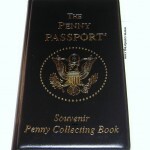 The books are cheaper and instead of paying $1 per book shipping, the pack of five penny albums ships for just $1!